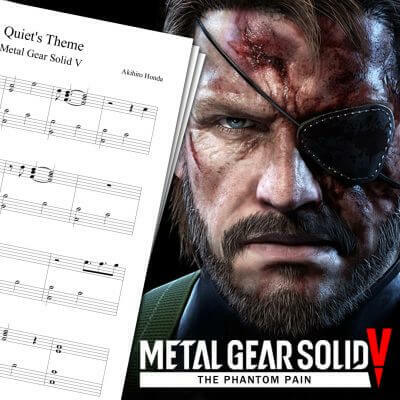 Piano sheet music for Quiet’s Theme from Metal Gear Solid V.
Metal Gear Solid V: The Phantom Pain is Hideo Kojima’s last Metal Gear Solid. And so it concludes one of my favorites video game series! 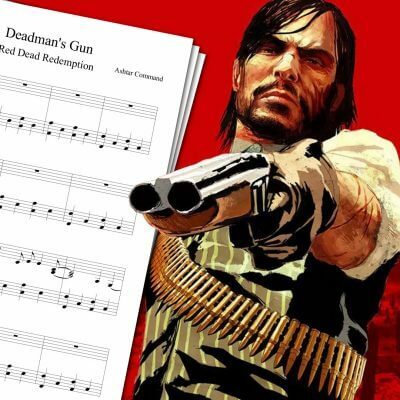 I made this Quiet’s Theme Sheet Music after finally finishing the game. This left me craving for more Metal Gear Solid, which I will sadly probably never have. I liked Quiet’s Theme as soon as I heard it in the ending, and I enjoy the fact you hear Quiet humming it during the game! Quiet’s theme is pretty easy to play. 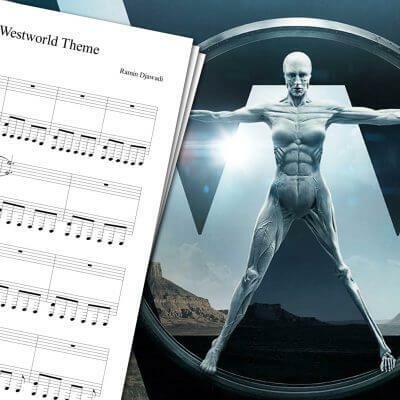 So if you’re looking for an easy Metal Gear Solid sheet music for beginners, this one is for you! 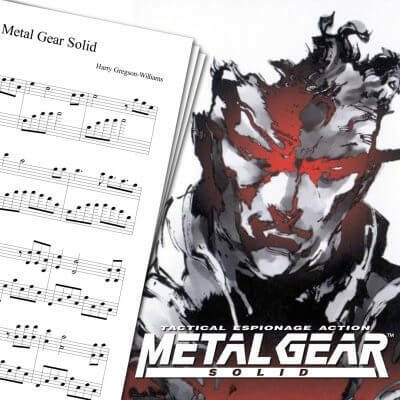 If you’re interested in more Metal Gear Solid sheet music, you should definitely also check my Metal Gear Solid Theme Sheet Music! Feel free to take a look at all my other sheet music! 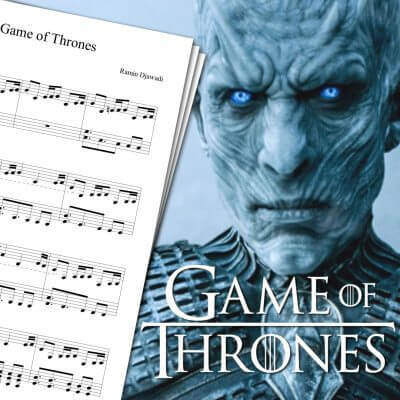 You will find there, among other things, the Red Dead Redemption Ending Sheet Music, the Westworld Theme Sheet Music, or the Game of Thrones Theme Sheet Music. Metal Gear Solid V: The Phantom Pain is a stealth game developed by Hideo Kojima, and released on September 2015. The events of the game happen 9 years after its prologue, Metal Gear Solid V: Ground Zeroes. Quiet’s voice and character model was inspired by Stefanie Joosten, a Dutch actress. She also sings Quiet’s Theme herself!